Forget that waterfront home. How about owning a private island, instead? The most exclusive, most luxurious of real estate opportunities, private islands bring an exceptional level of prestige, not to mention the unlimited possibilities to create the ultimate residence, or move into one. 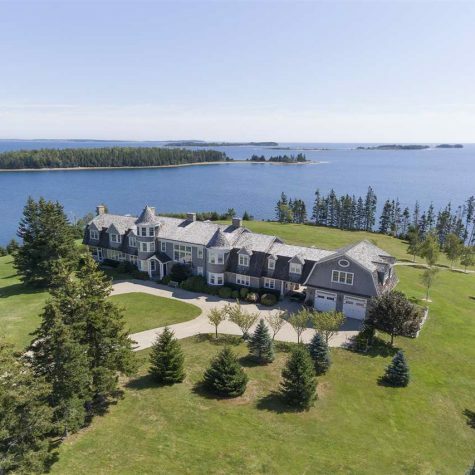 Unsurpassed views, exclusive locations, the utmost in privacy—nothing compares to owning your own island. We’ve scoured the planet to find a range of private islands listed for sale with Coldwell Banker Global Luxury that you can buy today. Let’s go island hopping. 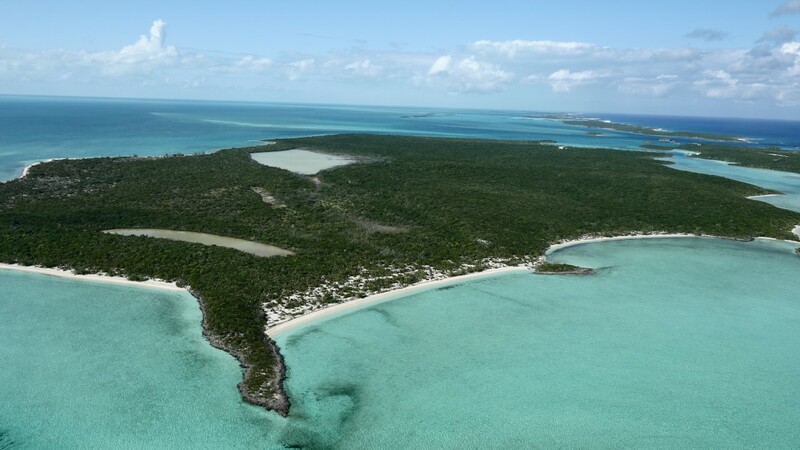 This 554-acre private island is located in the Exuma Cays, an archipelago of 365 cays and islands located just 35 miles from Nassau in The Bahamas and within easy reach of Great Exuma International Airport. But, that convenient access belies Big Darby Island’s exceptional privacy. With 14 different white-sand beaches, two miles of ocean frontage, and elevations reaching nearly 90 feet to maximize the breathtaking views of azure waters, you can be as active or relaxed as you want. You can also opt to preserve the island’s existing structure, an historic, 7,000-square-foot building known by locals as “The Castle,” realize an investment in a resort playground with the possibility of its own airstrip and a lifestyle that’s second to none, or develop your dream tropical family compound in this yachting paradise. 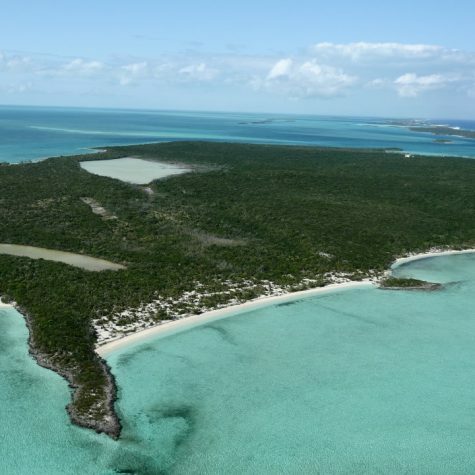 Big Darby Island is listed for $39 million with Heather Lightbourne Peterson of Coldwell Banker Lightbourn Realty in Nassau. A true tropical compound, this British Virgin Islands property boasts four separate, stunning homes behind gates on the Steele Point Peninsula. While it boasts all the breathtaking beauty and prestige of a private island, Steele Point Estate actually occupies Tortola’s western peninsula, allowing for easy access to its white-sand beaches—and making customs clearance a breeze. The property also features a new helicopter pad. Three of the island’s villas, Gestalt, Blackbeard’s Hideaway, and the Treehouse each provide sumptuous shelter and vibrant views. Gestalt is a four-bedroom villa with a pool and deck area that was meticulously carved into the cliffs overlooking the water and gorgeous native landscaping featuring hibiscus, birds of paradise, frangipani, oleander, and orchids. For total seclusion, you can’t beat Blackbeard’s Hideaway, a two-bedroom villa with soaring, 18-foot ceilings, an inviting open floorplan, a gourmet kitchen, outdoor dining terraces, and a romantic ambiance. The Treehouse boasts views of both the Atlantic and the Caribbean Sea as well as daily sunrises and sunsets, right from home. The fourth residence, the grand Steele Point Villa, sits atop the peak of the peninsula, creating elevated, 360-degree views that seem to go on forever. Newly renovated with no detail overlooked, the estate features five en-suite, ocean-view bedrooms, a professionally amenitized kitchen, a covered outdoor dining terrace, and a private dock that can accommodate the most impressive yacht. 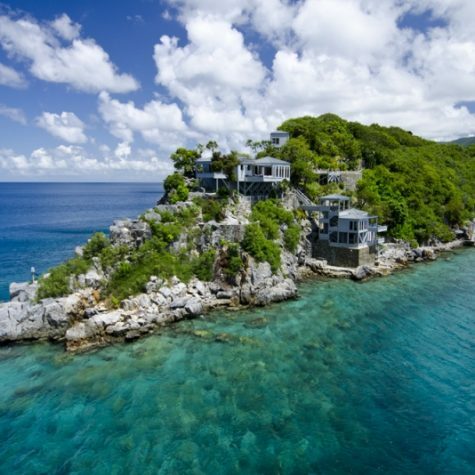 Steele Point Estate is listed for 25 million with Chris Smith of Coldwell Banker British Virgin islands. Chester, Nova Scotia is the type of place where residents spend the day on the water sailing, tend to their manicured gardens, attend summer yacht races and garden parties, and browse art galleries and boutiques. 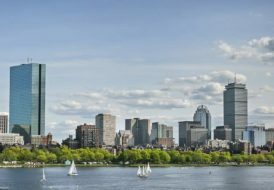 It’s also a place teeming with one magnificent home after another, and a real estate opportunity that just might best them all. 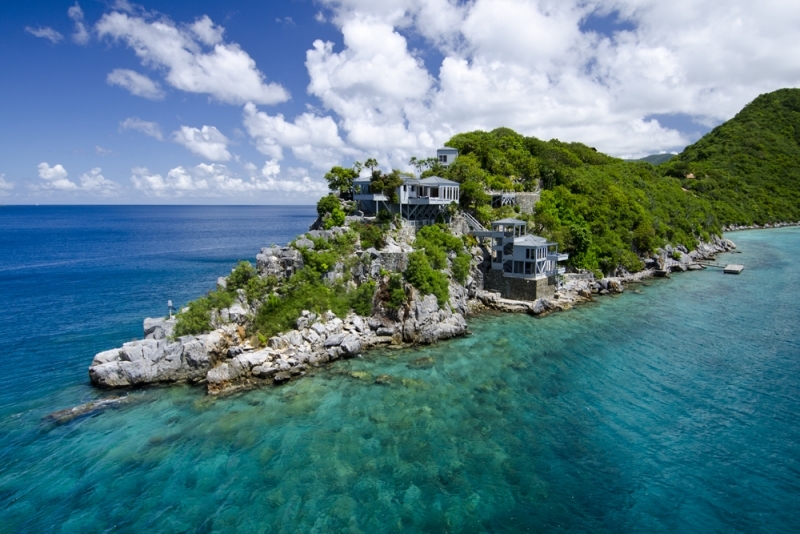 Yes, not all private islands for sale are in Caribbean waters. 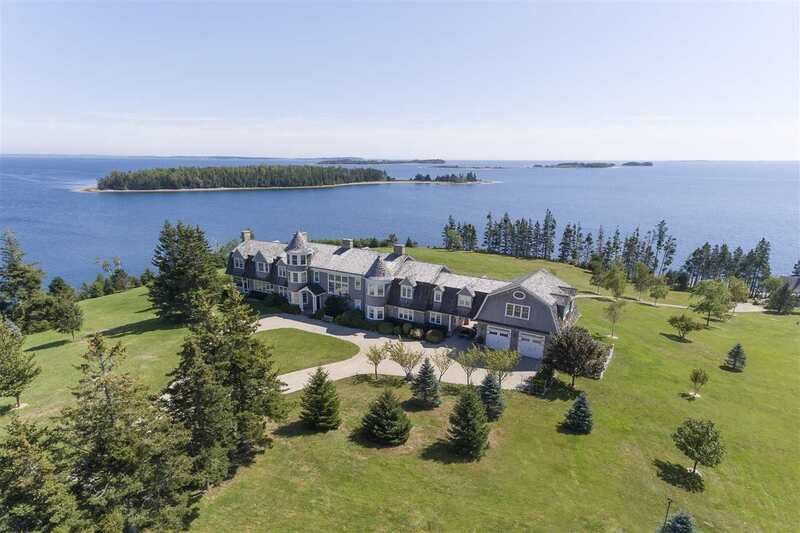 Kaulbach Island is located close to the picture-perfect seaside town of Chester on Nova Scotia’s Bluenose Coast and right in the heart of Mahone Bay, a popular sailing area with unimaginably clear water. The island combines all the allure of an exclusive getaway with surprising accessibility to the mainland, which is just a six-minute boat ride away, and only 90 minutes away from Halifax International Airport. Even better, among its 57 acres of woods, meadows, mature landscaping, lush gardens, ponds, and two sandy beaches, awaits a magnificent manse, Osprey Nest. 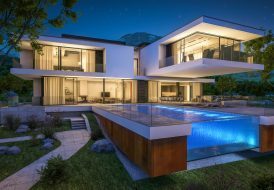 This 11-bedroom, 11,040-square-foot residence overlooks the ocean from its prominent perch and boasts an environmentally friendly, modern-yet-classic seaside design. Also on the island are a beach cottage and several outbuildings, along with a wharf with deep anchorage. 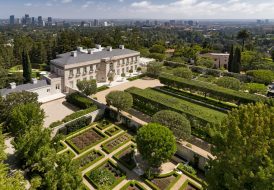 Kaulbach Island is listed for $7,000,000 by Mariana Cowan of Coldwell Banker Supercity Realty.